I’d pull this pullover right over. No messing. 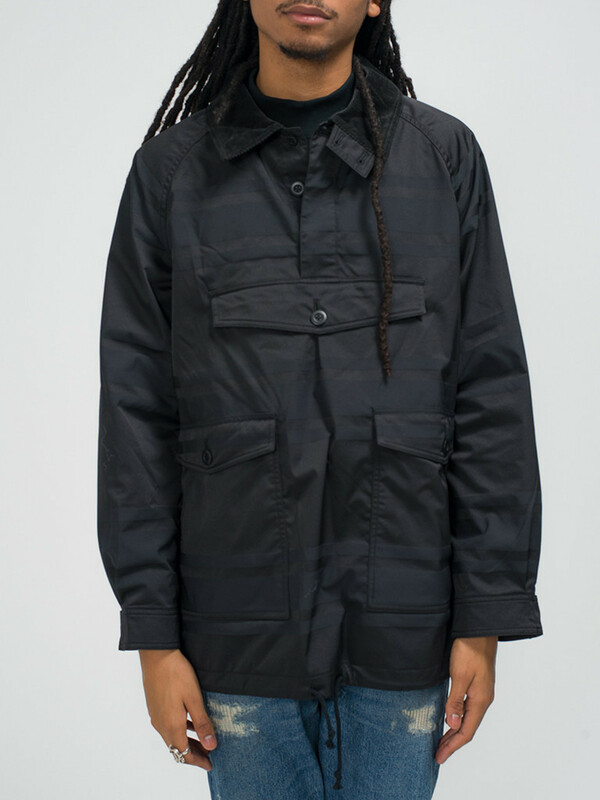 It’s a murderous ts(s) field jacket – ts(s) being the workwear orientated brand designed by Takuji Suzuki. Ring a bell? It’s Daiki Suzuki actual bro. 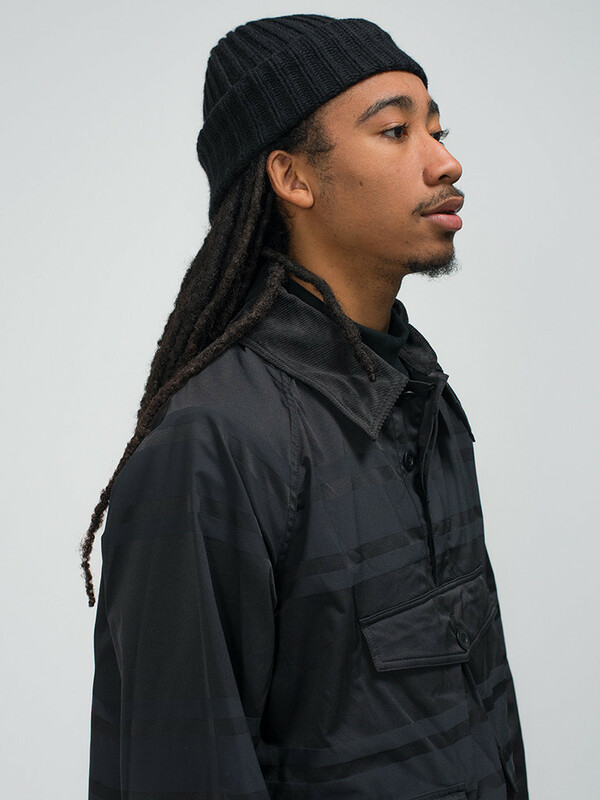 You know, the dude behind Engineered Garments? Still no idea? You’re on the wrong site. Perhaps sir would feel more comfortable over at Debenhams Men. Still here? Good. 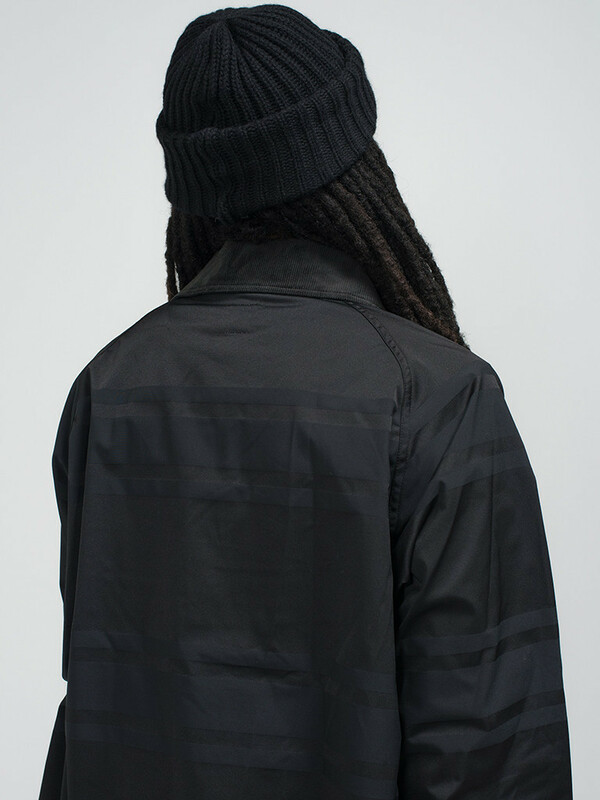 Take a closer look at this garm and you’ll clock the tonal horizontal stripe detail. There’s also that mad-massive pouch pocket and the fact that you can button this thing right up to keep Mr Windy at bay. This whole thing is straight-up godlike. I don’t even want to get into the unsanitary issue of cost. I think we’re all above such trifling matters. Are we not, after all, men of the world? Men who understand that if you have to ask the price you can’t afford it? Men who appreciate the finest the globe has to offer? Having said that, it’s 450 quid.